The Thames Vision Goals and Priority Actions report sets out six Goals and 24 Priority Actions that need to be taken to achieve the goals. Among the goals are: the busiest ever Port of London; 20 million passenger trips a year; more goods moved by river; the cleanest river since the Industrial Revolution; and more people than ever enjoying sport and recreation. The PLA has been developing the Thames Vision with members of the public, river stakeholders and other organisations across London and the south east for the last ten months. The Goals and Priority Actions that have emerged are at the heart of a plan to develop the Thames over the next 20 years. 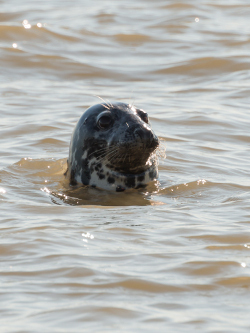 “Today we kick off a ten-week consultation on the Goals and Actions needed to make the most of the Thames,” said PLA chief executive, Robin Mortimer. “When we started this project in March we were sure there was untapped potential in this great river. What we’ve found, working with hundreds of people and more than 70 organisations, has surpassed our expectations. 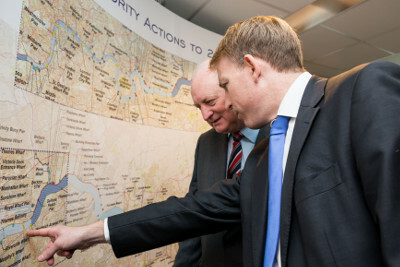 The 24 Priority Actions include: improving the main navigation channels; reactivating safeguarded wharves; a long-term pier strategy, including new piers at Thamesmead, Erith, Greenhithe, Swanscombe, Grays and Tilbury; development of sport opportunity zones along the river; and Tideway completing the Thames Tideway Tunnel as planned. Information on the consultation, and how to feedback your comments, can be found on the PLA website at: www.pla.co.uk/Thames-Vision. • The PLA oversees navigational safety and river operations on 95 miles of the tidal Thames from Teddington Lock, through the capital, and out to the sea.